Starks or Lannisters? Boxers or briefs? Life is full of so many painful choices, and for many, “stay skinny or drink beer” is one of them. But that’s not a choice you necessarily have to make – enjoying beer doesn’t require a beer belly. I would know. Drinking does make things more challenging, but not because of anything inherently fattening about alcohol. All you need to do is follow the three rules below. To explain this rule, let’s start off with a primer on macro-nutrients. 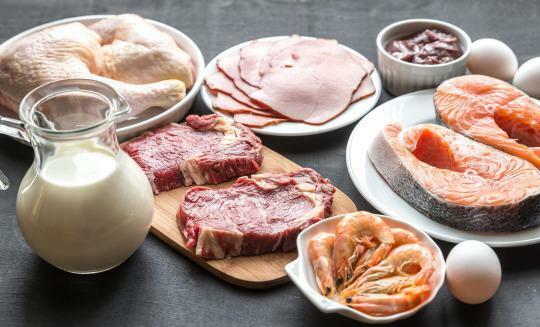 Every food that you consume is made up of one or more of the following macro-nutrients: protein, fat, and carbohydrates. These macro-nutrients have specific properties, such as the number of calories they contain, their impact on your levels of hunger and fullness, and so on, and the only other substance that provides calories is alcohol. Of these four, fat is probably the most misunderstood. There’s a misconception that dietary fat (fat that you consume) makes you fat, but that’s not necessarily the case. If you’re expending more calories than you consume, then dietary fat is readily used by your body, even if you consume a diet high in fat. However, drinking alcohol confounds this process somewhat. Alcohol is toxic and cannot be stored by your body. Because of this, Mother Nature has thankfully blessed us (and other animals) with the ability to prioritize alcohol as a source of energy over all other macro-nutrients. This means that your wild buzzed dancing and subsequent poor decisions are, quite literally, fueled by alcohol. But this also means that your body’s ability to utilize fat as fuel (also known as fat oxidation) takes a back seat. As a consequence, any fat that you consumed earlier is readily stored as adipose tissue. To counteract this, opt for low-fat foods on days you know you’ll be drinking. Additionally, consume a copious amount of lean protein. While your body might not be able to use all the fat you eat that day, the protein will keep you fuller for longer, so you’re less likely to undo your work with a late-night IHOP session… which brings us to our next rule. 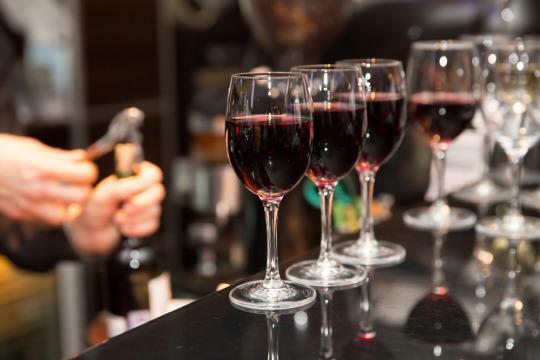 When it comes to gaining weight, alcohol gets a worse rap than it deserves. Nutrition researcher Alan Aragon who, despite looking like the lovechild of Bruce Lee and The Hulk, has been known to kick back a beer (or four), took a look at the evidence to see how alcohol contributes to weight gain. As it turns out, the reason that alcohol seems to make people fat is the good ol’ phenomenon of correlation-not-causation. It’s an easy trap to fall into, and many people simply blame alcohol for any weight gain. But they’re probably forgetting the late-night kebabs and burger runs that came with the booze. And those are the real culprit. Let’s say that you need 10 shots to get you through a Saturday night, which, whoa, but no judgment. That’s less than 1,000 calories, much of which you’ll probably expend thanks to the aforementioned questionable dancing. In contrast, the double quarter pounder meal that you consume afterwards might contain somewhere around 1,600 calories. Realistically, even the most committed can (and probably will) make this mistake. 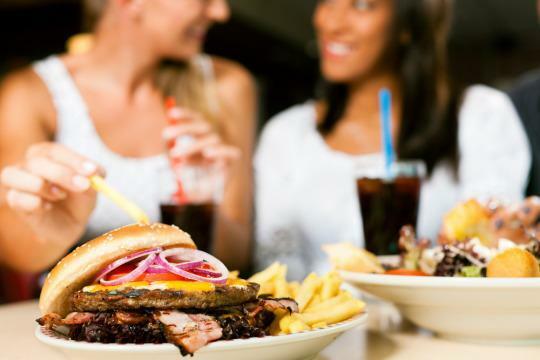 You’ll probably be out with friends, and despite bragging about your bench press and your “nearly there” abs, you might be peer pressured into a late-night feed. And just like that, a minor case of the munchies sabotages your quest for a six-pack. I handle this common scenario using two two practical tips. First, steer your posse towards a diner. Diners are a great option, because while others can indulge in greasy, fatty food, there will always be a relatively lean, high-protein option – chicken breast and fish, for example, are fair game. Second, while you’re still sober, write future-you a note telling you exactly what you’re going to do at the end of the night: “We’re going to go to Denny’s and get the grilled chicken breast with a side salad instead of mashed potatoes.” Yes, this might seem silly, but it works; reading this message will remind you of your overall goals when you’re more prone to making bad decisions. Sticking to our 10-drink example, you can probably see how certain kinds of beverages would rack up the calories to absurd levels pretty quickly. Ten whiskeys will be less than 1,000 calories, whereas the equivalent in piña coladas may be three times that amount due to all the sugar and coconut milk mixed in. 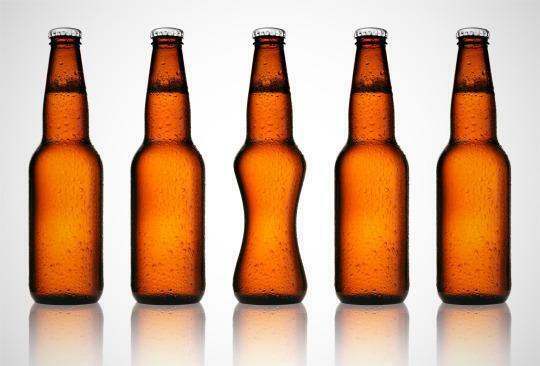 Which drinks contain the highest alcohol-to-calorie ratio? You can’t go wrong if you choose from the following: liquor, red or white wine (the drier the better), Champagne, or light beer. Anything with a B- rating or higher from this incredibly helpful list should get you where you need to go without doing excessive damage to your waistband. But if you really, really want that strawberry daiquiri, order it at the start of the night when you’re likely to be present enough to enjoy it most, then switch to drinks that are more fitness-friendly. Sticking to the rules above might be challenging at first. You will mess up, but you’ll get better with practice. Don’t focus on being perfect when it comes to adherence. Instead, focus on adhering as best as you can and improving a little bit more each time. Look on the bright side: when else can you use the words “practice” and “drinking” together in a sentence that’s related to self-improvement? I have been doing a lot of reflecting lately about my weight loss journey. I help people on a daily basis who are starting to take their first steps in their personal journey and I felt the need to share some old photo’s (many of which have never been shown to anyone before) of my own journey! This is not meant in anyway to “fat shame” or offend anyone who struggles with weight problems. I just want to share where I came from and what I learned along the way. This is where I was at. These are my personal feelings about how I felt about me and my situation. When I was young I never struggled with weight I was always thin and active in sports/running. As kids started coming along I started to see that change as my energy level and activity decreased. Weight started to slowly creap up on me over the many years of pregnancies. After baby number 4 I took note of where I was at. 5’3″ and 165 lbs. I wanted to have another baby but didn’t want to be 200+ while pregnant, struggling with lower back issues and knee problems which caused me great concern for my small frame. I decided to lose weight first before getting pregnant. Most people thought I was nuts to do all that work to just get pregnant, but I had a goal and I didn’t let anything get in my way. I did the HCG diet and lost over 40 lbs. in 6 weeks. It was the biggest game changer for me. I never thought I could be thin again. It helped me realize that anything was possible. After I had baby number 5 I started training in the gym hard and changed my lifestyle forever and how I thought about myself and food. It wasn’t easy and I learned a lot about myself and what drove me to food as a crutch in dealing with my emotions. I was able to face my demons and change my habits. I love what I’m doing now. I feel happy with my life and the direction that me and my family are headed. I don’t think of myself as a role model but I love helping people. If this in some way helps or inspires someone to better themselves then I am happy to share my story. Here’s to tomorrow. Good luck with your own personal journey’s, wherever they may lead you! 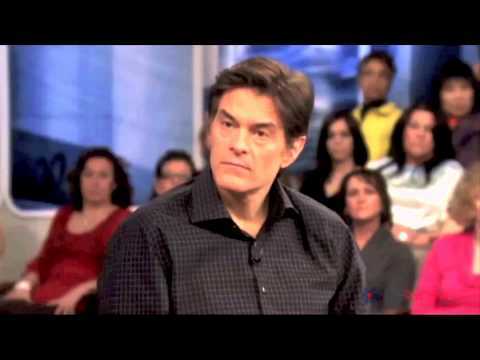 Cardiac Surgeon and Medical Talk Show Host, Dr. Oz, recently featured the HCG Diet on his syndicated television show. With testimonials from real life stories and insight from fellow physicians, many of the questions about the validity of the HCG Diet were addressed. The biggest concern posed by Dr. Oz was the part of the regime that limits the dieter to only 500 calories per day while taking HCG. Specialists explained that while taking in only 500 calories a day, your body receives the remainder of energy and calories needed from the excess fat stores within your body. For overweight individuals, the ratio of fat stores in the body to energy used is vastly disproportionate. By taking the HCG liquid, 10 tasteless drops at a time,3 times a day, your energy levels increase; which in turn, burns those excess fat stores and brings the ratio of fat and energy to a more even level. It’s a science that brings you to a healthy level of living. Diabetes, Hypertension, Cardiovascular disease, Stroke, Pulmonary disease, Reproductive disorders, Osteoarthritis, Sleep Apnea, and Cancer. The epidemic of obesity is growing at an alarming rate. Statistics reveal that heart disease and stroke, two ailments often directly related to obesity, are the principal causes of death and disability among people in the United States. Over the last 25 years, obesity rates have been climbing steadily. According to a recent National Health and Nutrition Examination Survey, 33% of men and 35% of women are obese. Even among children and adolescents, 16% were found to be obese. Obesity should not be ignored or accepted as the norm. It’s a grave danger to your health. Fortunately, it’s never too late to take that first step in taking control of your health. Contact us today for more information. Read It Before You Eat It!!! Don’t be fooled by product labels and tag lines!!! In 2012, a California woman filed a class-action lawsuit over Fruit Roll-Ups, which contain “pears from concentrate” and no strawberries (in the case of the strawberry flavor). While organic was once a bit like the term all natural—open to interpretation—that’s no longer true. If a product has a USDA label that says organic, 95% or more of the ingredients must have been grown or processed without synthetic fertilizers or pesticides (among other standards). Two percent milk sounds great—it’s such a low number! What most people don’t realize is that whole milk contains only 3.25% fat. And FDA recommendations on serving size, the Reference Amount Customarily Consumed (RACC) index, tend to be outdated, based on eating habits of decades past. For example, the RACC for ice cream is a half-cup, or one scoop—a lot less than what most people now eat in one sitting. For example, a pint of ice cream would be considered to have four half-cup servings, a buzz kill for those of us who could eat the whole thing in one sitting. My weight loss journey has been continual. I started with the HCG diet and from there I have been exercising and building muscle to do what I have always wanted to do, competing in the Physique Competitions. For a long time, while I was having kids, I always kept it in the back of my mind that I would like to compete some day. But having kids was my passion at the time at I loved my babies. The struggle that I had as time went on was losing the weight after each child. It seemed with every pregnancy I gained more and more and my dream of competing was slipping away. I literally tried everything. I did extreme diets like the Lemon Cleanse, Adkins..I also did Body For Life and counting calories. It was the same result with each one. I would lose maybe 10 pounds and then would be stuck. When I heard about HCG I was really skeptical. I wasn’t sure if it would work but I had tried everything else so I figured I would give it a shot. I did the diet and I was in absolute disbelief each morning waking up and seeing the scale keep moving down. That had never happened. I kept expecting that at any moment it would stop and I would be stuck again but luckily for me that was not the case and it was the most successful diet that I have ever been on. For anyone who is not sure about the HCG. This is one thing I have to say. It is worth the shot. It worked for me and I know hundreds of people that have also had success on it as well. HCG Renew has specialist that will help with your diet and help you complete the program correctly to get the best results. Try it out you will not be disappointed. My first competition March 2013. I trained for a 1 1/2 years to get on stage and it was well worth all the work. My front and back poses on stage. I was really happy with my results and all the hard work paid off! 2013- My photo shoot that I did after my show. Who Needs Biggest Loser When You Get Results Like This!!! The Biggest Loser has long since been recognized for its motivational properties. But as many are finding out, with the newest winner of the Biggest Loser, there is a price to playing a game and healthy weight loss is not one of them. We teach our clients to change lifestyle while living in the normal conditions of their everyday lives. We have been successful in helping thousands of our clients achieve success! We love when our customers share their weight loss journey and feel that these real results from people not hiding on a weight loss farm are more motivating than any other. We invite to read about Megan and decide that you too can achieve success! Let us help you get started on that journey. Use Promotion code “thinagain” for 25% off your entire order. Ask about our new Athletic Cleanse. We have formulated a program for athletes who want to lose up to 15 lbs safely and effectively. Our 10 day cleanse will allow you to lose weight without the risk of losing the muscle and the strength that you have worked so hard to gain. Call our customer service number for details. We want to help you pay it forward by giving you 50% off any of our singles kits each time you refer a new customer. Help a friend start their weight loss goal for the new year and save 50% on your next purchase. We are focused on helping as many people in 2014 achieve success and we want to reward you for helping others get started on achieving their goals and claiming this year as the year that changed their life. *All discounts are for new customer referrals. The new customer needs to have placed a successful order after 1/17/14 to qualify for the refer a friend discount. Once the referral order has been placed you can contact us with that customers name and email. Once we verify their order we will apply 50% off on your next order. Refer a friend discount may be applied to any singles kit. This amazing new substance is derived from unroasted green-coffee beans. The extract contains numerous poly-phenolic compounds such as chlorogenic-acid. These compounds have been discovered to possess powerful antioxidant properties. Unroasted coffee beans are a much better source of antioxidants than roasted coffee beans. Once the coffee beans have been roasted, the amount of chlorogenic-acid is significantly reduced and therefore does not produce the same health benefits. Green-coffee bean also appears to have other health benefits besides fighting against free radicals in the body. It decreases blood glucose levels, protects against the build up of visceral fat, increases weight-loss, and helps lower blood pressure. It also improves vasoreactivity, which is the contraction of blood vessels. The Study: Sixteen overweight young adults were given a 1,050 milligram dose of green-coffee bean extract for six weeks, then a two-week break, then a daily 700 milligram dose for six weeks, then another break, and then a placebo. For some of them, the order was different. The results bowled the researchers over. Without altering their calorie intake, over the full 22 weeks, the volunteers lost an average of 17.5 pounds, reducing their total body weight by 10.5 percent and their average body fat by 16 percent. And as the amount of extract they consumed increased, so did the amount of fat and weight they shed. Six of the initially overweight 16 test subjects, almost 40 percent of the group, actually wound up with BMIs in the “healthy” category. It was also observed that the lower 700 milligram dosage continued to generate weight-loss, while the placebo pills did not produce any weight-loss. Other research studies for green-coffee bean extract were conducted on mice. The study showed that green-coffee bean extract was able to suppress weight gain in both visceral fat and overall body weight. Visceral fat is the fat that builds up around the abdomen and surrounds the liver, heart, kidneys, and pancreas. High amounts of visceral fat has been known to increase the risk of diabetes, metabolic disturbances, cardiovascular disease, and even some types of cancers. Researchers believe that it is the combined effects of the chlorogenic acid, polyphenolic compounds, and caffeine in the coffee beans that work together to fight off toxins in the body and suppress weight gain. African-mango is a great fruit that can help curb hunger by increasing the sensitivity to leptin in the body. Leptin is a hormone that sends a signal to the brain that the stomach is full, therefore reducing hunger and controlling food intake. It is commonly observed that overweight and obese people have a weight-induced disorder that causes the brain to ignore leptin signals. African-mango will improve leptin sensitivity so that the brain will once again become receptive to leptin signals. Kelp and grapefruit have been added to provide a rich source of vitamins and minerals that support the healthy functioning of the entire body, including the thyroid and nervous system. It also helps to maintain a healthy urinary tract, boosts metabolism, and reduce the chances of weight gain. Green tea extract is used to treat many ailments such as depression, high blood pressure, high cholesterol, headaches, toxicity overload, and low energy levels. It also helps reduce the risk of heart disease and promote brain health. Acai-berries and Resveratrol are a great source of antioxidants. Antioxidants will help neutralize free radicals in the body that can cause damage to healthy cells. Damage to cells can lead to developing rapid signs of aging, illnesses, and even diseases such as cardiovascular disease and cancer. Apple cider vinegar has been used in many medicinal practices, but it is becoming better known for its ability to improve the health of the digestive system. It helps with bowel movements to make digestion and waste elimination less stressful on the body. With all of these amazing ingredients, most people have found that they do not need to do any starvation diets or military-style workout routines. It does not contain any fillers or harmful additives. And unlike a traditional cup of coffee that causes “jitters” and nervousness, there are no known side effects that have been associated with the use of Green Coffee Pure. You can try a bottle today with a full 60 day risk-free guarantee so that you can experience the dramatic results for yourself.